Quality management is not only a legal requirement, also one of the best tools to measure it. 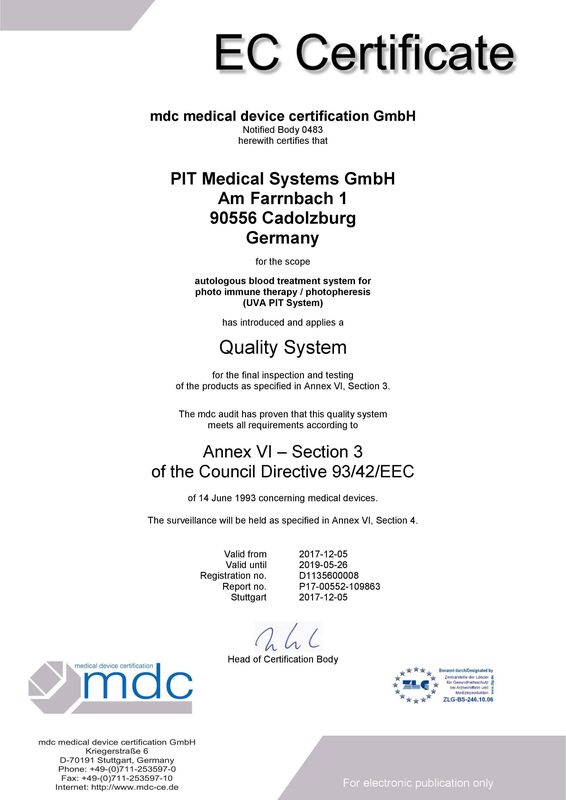 We produce our UVA PIT System according to an established Quality Management System (QMS), which is certified in compliance with the international standard EN ISO 13485. The system is regularly audited and certified by MDC that allows us to put the medical CE mark on our products. 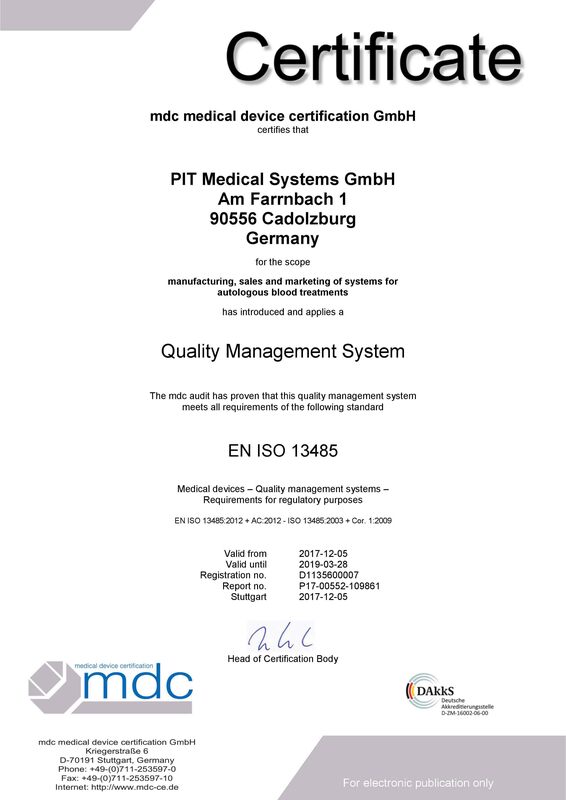 We are an ISO-13485-certified company and follow all necessary requirements to preserve the quality system. Furthermore, we follow all requirements to ensure overall high standards of quality and traceability.